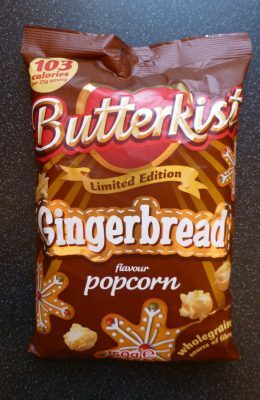 Yesterday saw Butterkist’s Gingerbread Popcorn and today it’s time for Joe & Seph’s gourmet popcorn. 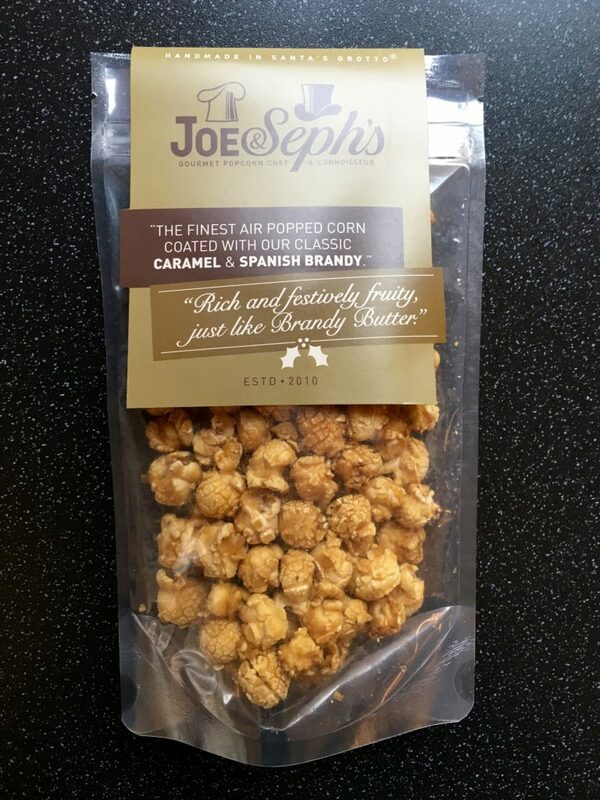 I am not complaining as I love popcorn and catering for all, Joe & Seph’s Brandy Butter Popcorn is one of a number of Christmassy additions that are decking the halls this Christmas. I love Joe & Seph’s for their imaginative popcorn and I am eager to see how brandy works with the perfect snack that is popcorn. This 80g resealable Handmade in Santa’s Grotto pack was £2.99 from Ocado. It is gluten free, has no artificial flavours, colours or preservatives, and is suitable for vegetarians. Holy smokes could that popcorn look any more delightful? It literally makes me want to face plant it. No kernel was left un-popped and each was coated in a thin layer of smooth glossy caramel. Wanging a handful in, boy did these have the crunch factor! Buttery sweet caramel, it tasted indulgent and oh so naughty. Sadly the brandy seems to be significantly lacking as none of us could detect even the slightest whiff of brandy. Nonetheless there was no problem in demolishing the bag in one sitting… oops. 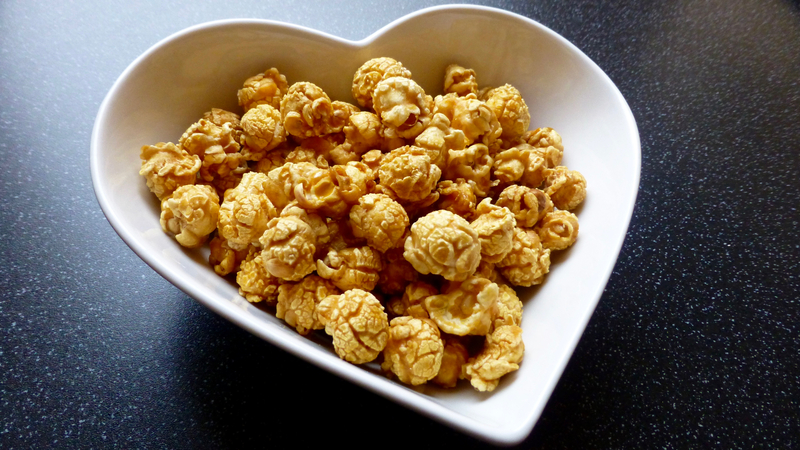 In essence Joe & Seph’s Brandy Butter Popcorn is just buttery caramel popcorn. I was very much looking forward to the brandy element and it’s a shame that this was lacking. The quality certainly supersedes other premium popcorns and I am yet to try a flavour I dislike, I just wish this lived up to more of its namesake. 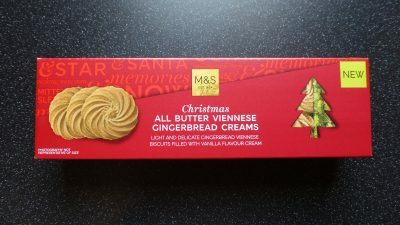 Now if you want to see Joe & Seph’s other christmas number, Mint Chocolate & Chocolate Orange, then head on over to see Little Miss Cupcake’s review here.